We just got back from Paris and we had a great time. Paris is so beautiful. It's a statement you've probably heard before. It's also a statement you already know to be true. Everyone knows that Paris is beautiful but it’s tough to comprehend until you experience it. There's not just one thing that stands out. It's an entire package. The architecture, the water, the streets, the food, the people. It’s all gorgeous. Everything about it combines into this singular package that's easier experienced than explained. It rained a decent amount while we were there. Though this was slightly irritating, Paris really shines in the rain. Every surface glows with fresh precipitation. Practically though, rain makes everything wet. This would have been a problem if it wasn’t for Timbuktu. Timbuktu is a clothing company that we’re working with this year. They outfitted us for this whole trip and it went a long way towards keeping us warm and dry. Some of the Metro stations are uniquely designed. We got caught in a random hail storm in Montmartre. We both wore their Kabara Waterproof Jackets in Paris. They held up beautifully and kept us dry in between metro stops or when we had to be outside in the weather. I also had the Sankore Down Jacket to keep me warm. It compresses down to almost nothing when you’re not wearing it. It barely took up any space in my carry on. Make sure you check out their website. Most of the site is on sale right now. We’ll be wearing more of their clothes on our other trips this year, so we’ll be able to see how it all holds up. We both enjoy traveling. It allows us to experience new cultures and widen our world view. It's great to learn and see that your way of doing things isn't the only way. Inevitably though, when cultures meet, there will be surprises and things that feel strange. 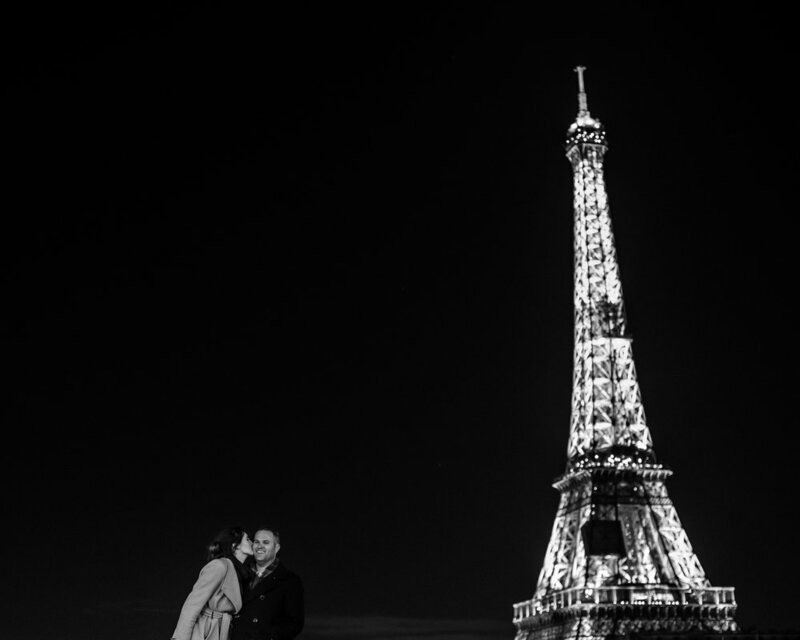 Below are 5 things that surprised us about Paris. Paris is an absolutely beautiful city. In the rain, the snow, the sun, the conditions don’t matter. It’s beautiful. Parisians know this. They love their city and take pride in it. Which makes the dog situation so puzzling. It’s everywhere. Seriously, everywhere. You constantly have to be on the lookout. I can’t tell you how many times we were walking along and directly in the middle of the sidewalk...it’s just there. The city only recently started fining people who don’t pick it up, so it’s just an ingrained practice. The fact that so many people just leave it all over the city was very surprising and the sheer volume, again...surprising. Maybe it will change in the future. Parisians are quiet. We’re loud. It’s a striking difference. We didn’t really notice it the first few days. It wasn’t until we ran into more Americans that the difference in volume was apparent. They weren’t really that loud to us but they stood out. We’re much louder than Parisians. The French notice as well. So if you want to blend in more, speak softly. The only place we ran into anything we would call rude was with restaurant service staff. But I need to clarify, restaurant service in France is a lot different than in America. What's the difference? In the states as soon as you sit down, a waiter appears. They warmly greet you, offer you water and give you a menu. Within minutes they have returned to take your order. Throughout your whole meal, your waiter is ready to assist you and many times before you've even finished, your check arrives. They’re not doing this out of the goodness of their hearts of course. The hope is for a tip at the end of the meal. It doesn't really work that way in Paris. Eating out is an experience. It last longer in Paris and the waiters also view it as rude to bring your check before you directly ask for it. They also don’t get tips. This leads to a different type of dining experience. Whether busy or not, you may sit at your table for several minutes before anyone decides to show up. When they do show up, if you’re not ready to order, they might just walk away without explanation. You may also be at that restaurant for a couple of hours. There’s really no way to speed up the process. It can also take a while to pay. We even saw a waitress kick a whole table out for not being ready. It was intense. A lot of the difference is cultural though. It's neither right nor wrong. It just is. They treat Parisians the same way they do tourists. Don’t go into a Parisian restaurant expecting to be coddled, because it’s not going to happen. There aren’t any. Well to clarify, there are lines. The lines are full of tourists and foreigners. Locals don’t seem to believe in cueing up in orderly lines. We had several people on many occasions simply walk in front of us. There was no outcry or social disgust. It was simply how it was. I read about this before we went but it was surprising to see it. Especially considering how line conscious of a society we are. Not everyplace lives up to the hype. Paris did. It’s just as amazing and awesome as you might imagine it to be. Experiencing differences in culture is a great part of traveling. We had an unbelievable trip, in spite of the dog poop and the rain. We can’t wait to share more of our photos and experiences over the next few weeks.